As per this study the Global Wound Debridement Market was valued USD 702.0 MN (by revenue) in 2018 and is anticipated to reach USD 1203.1 MN by 2025 with a CAGR of 8%. Wound debridement is a process of eliminating dead tissues, toxic substances and foreign bodies from the wound to promote wound healing. It mainly eliminates conditions for bacterial overgrowth and other disease processes that could lead to pain, sepsis, and eventually, amputation. Mostly, it is used for curing the chronic wounds by surgical, mechanical, chemical, autolytic (self-designed), or by maggot therapy. The rising number of patients suffering from diabetes and obesity across the globe is driving market growth. Increasing wound debridement practices for removal of narcotic and infected tissues for faster wound healing is again fuelling the market growth. Also, rising disposable income along with an increase in the geriatric population is further propelling the demand for wound debridement. In addition to this, increasing reimbursement policies and rising demand for better healthcare is also fuelling the market growth. However, the high cost of debridement products is a restraint to market growth. 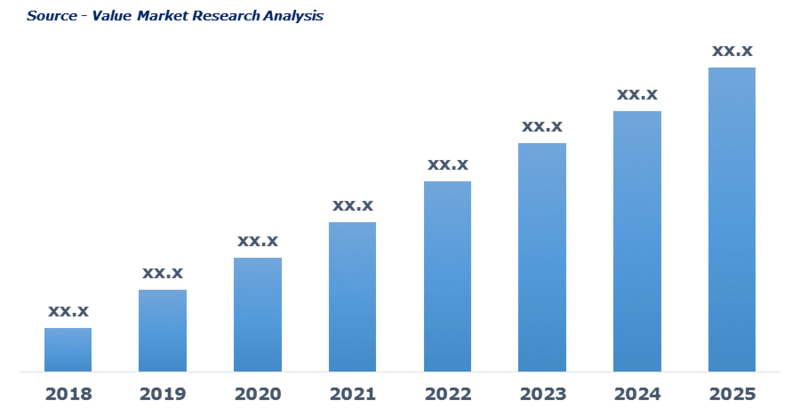 Whereas, the launch of keratin-based wound care products and dressing solution is extremely helpful in wound re-epithelialization is expected to boost the market growth in the forecasting period. This detailed market study is centered on the data obtained from multiple sources and is analyzed using numerous tools including porter’s five forces analysis, market attractiveness analysis and value chain analysis. These tools are employed to gain insights of the potential value of the market facilitating the business strategists with the latest growth opportunities. Additionally, these tools also provide a detailed analysis of each application/product segment in the global market of wound debridement. The broad wound debridement market has been sub-grouped into product, method, wound type and end-use. The report studies these subsets with respect to the geographical segmentation. The strategists can gain a detailed insight and devise appropriate strategies to target specific market. This detail will lead to a focused approach leading to identification of better opportunities. Furthermore, the report comprises of the geographical segmentation which mainly focuses on current and forecast demand for wound debridement in North America, Europe, Asia Pacific, Latin America, and Middle East & Africa. The report further focuses on demand for individual application segments in all the regions. The report also covers detailed competitive landscape including company profiles of key players operating in the global market. The key players in the wound debridement market include Acelity L.P., Inc., B. Braun Melsungen AG, Coloplast, ConvaTec, Integra Lifesciences., Lohmann & Rauscher International Gmbh & Co Kg, Medline Industries, Inc., Mölnlycke Health Care AB., Paul Hartmann AG and Smith & Nephew. An in-depth view of the competitive outlook includes future capacities, key mergers & acquisitions, financial overview, partnerships, collaborations, new product launches, new product developments and other developments with information in terms of H.Q.